Discover West Hollywood | meetL.A. West Hollywood’s rock-star pedigree, boutique shopping, progressive attitude and non-stop nightlife will create a fun-filled and stylish setting for events and meetings. 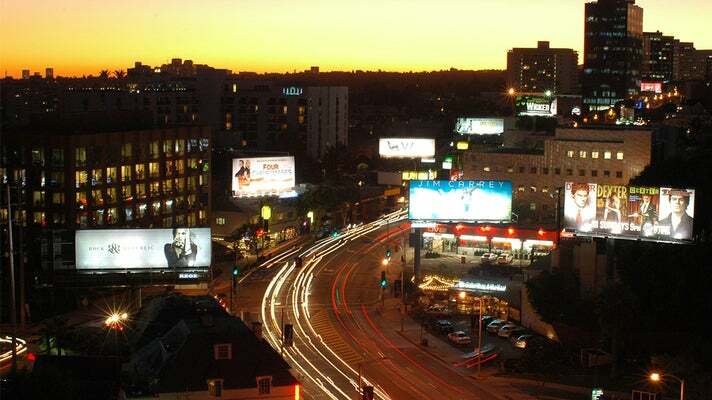 The world-famous Sunset Strip, Melrose Avenue and Robertson Boulevard provide endless dining and nightlife and a thriving arts and LGBT scene make WeHo a fast-paced mini-metropolis. Photo courtesy of The London West Hollywood. 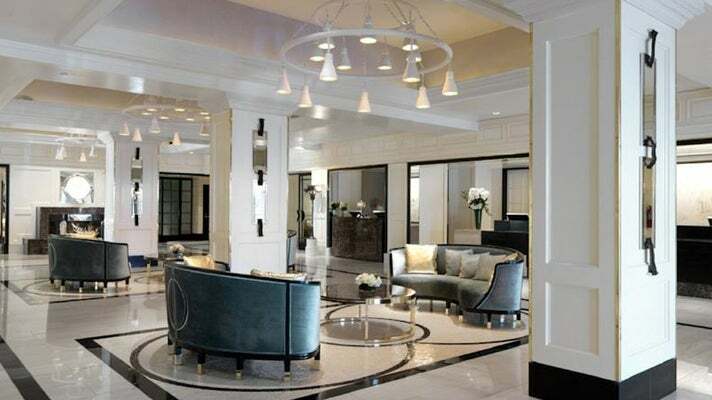 WeHo has intimate, luxurious boutique hotels and hotels that are part of rock ‘n roll history, providing a uniquely stylish setting that will energize and inspire attendees. 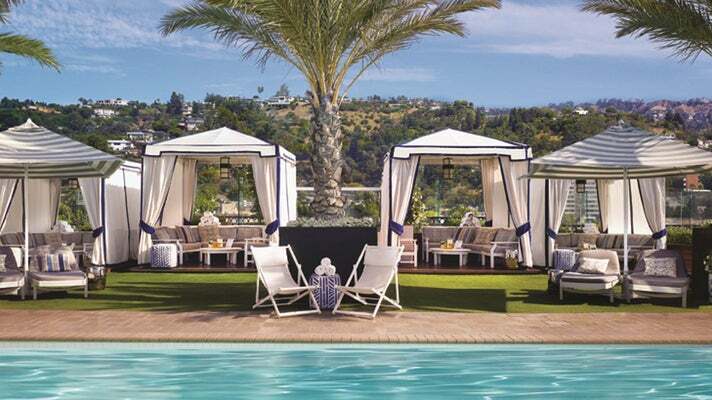 Guests can relax and unwind at The London West Hollywood, a luxurious all-suite property with breathtaking views of L.A. or experience cutting-edge style and glamour at the 236 room Mondrian Hotel. With over a dozen world-class hotels, planners will have no trouble finding the right accommodation to suit their needs. Photo courtesy of James Hotel. The James West Hollywood-Sunset, located in the heart of West Hollywood, is set to open in early 2017. 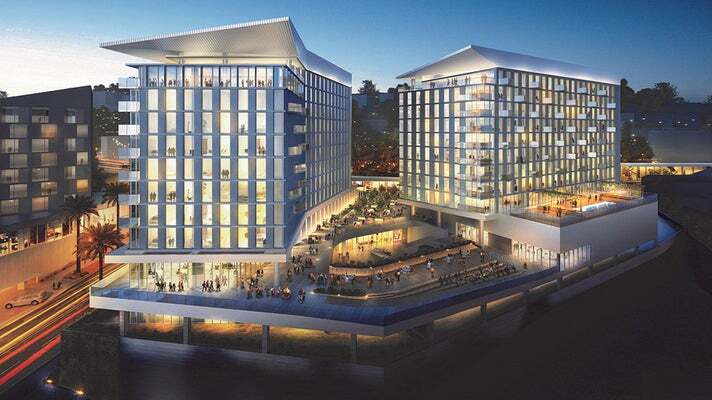 This swanky spot is the first new-from-the-ground-up hotel to arrive on the Sunset Strip in almost 30 years. Situated at the corner of Sunset and La Cienega, the James’ two 10-story towers house 286 rooms and suites, two restaurants, a pool with cabanas, rooftop and lobby bars and 10,000 square feet of meeting space. Discover more West Hollywood hotels here. West Hollywood packs an enormous amount of exciting cuisine and nightlife in a small area, making it one of the most walkable parts of L.A. Tasting the work of some of L.A.’s top celebrity chefs will create lasting memories. Historic restaurants, trendy hotspots and al fresco dining can all be found in the city of West Hollywood and many locations are available for private parties. Photo courtesy of Gracias Madre. 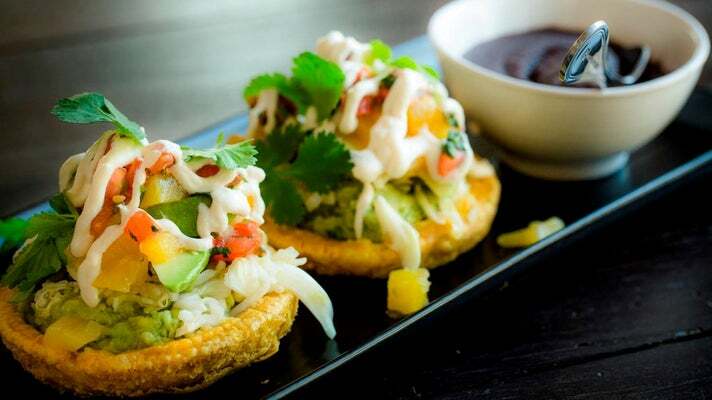 Gracias Madre is a uniquely L.A. restaurant that serves 100% organic, plant based cuisine inspired by the kitchens of Mexico and sourced from locally grown organic ingredients. Gracias Madre is the perfect setting for company parties, corporate events and social gatherings, offering three different venue sizes to accommodate intimate parties of 25 or larger affairs of 400. This 5,000 sq. 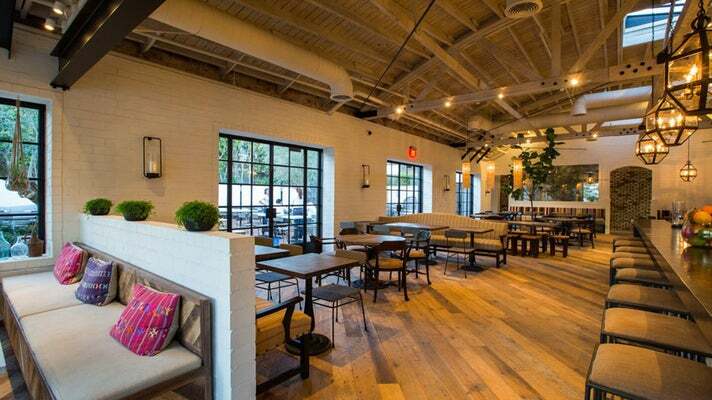 ft. restaurant features indoor and outdoor seating, valet parking and a gorgeous outdoor fireplace. Photo courtesy of Skybar at Mondrian. Boasting some of the finest views of Los Angeles, Skybar at Mondrian is an open-air, ivy-covered pavilion perched above the pool and outdoor living room. It’s been a popular spot for events from the day it opened. It’s available for private parties and events for up to 550 people reception style. 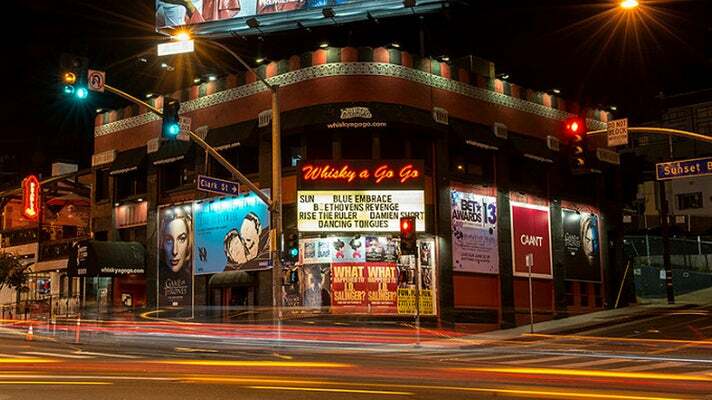 Photo courtesy of Whiskey a Go Go. West Hollywood is not only a city unto itself, it’s a 1.9-square-mile universe. It’s where L.A. gets very hip—think Whisky a Go Go, launching rock careers on the Sunset Strip for five decades now. And it’s where some of L.A.’s hottest dance clubs, bars, and lounges are generously sprinkled along main thoroughfares like Santa Monica Boulevard, so bar-hopping and scene-shifting are an easy and festive matter. It’s also where L.A. gets very stylish—along Melrose Avenue, Beverly Boulevard, and Robertson Boulevard, you’ll find the West Hollywood Design District, where art, fashion, and design converge. Stella McCartney, Maxfield, Balenciaga, and Alberta Ferretti, along with many other top fashion names, are all within the Design District. Along Sunset Boulevard you’ll find Sunset Plaza, a buzzing haven of restaurants and shops, including Café Med, Le Petit Four, Armani A/X, Nicole Miller, Ole Henriksen Face/Body Spa, Philip Press, and Oliver Peoples. Photo by Mike Hume, Flickr. The award-winning, 1.6 million sq. 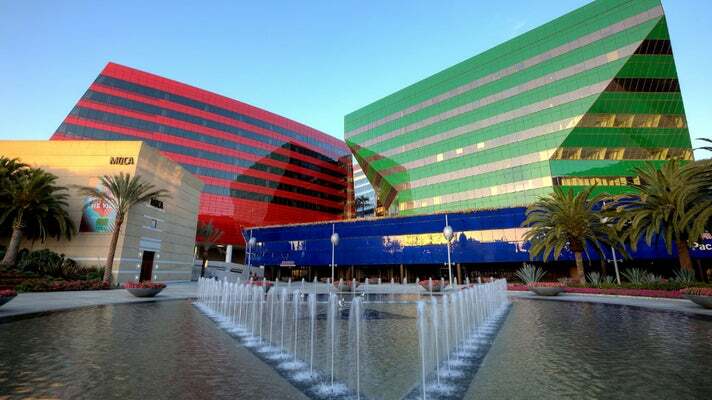 ft. Pacific Design Center is a premier, multi-use facility located in the heart of West Hollywood. The two-acre outdoor area features lush garden landscaping, fountains and can accommodate up to 2,500 guests. It’s also home to two restaurants (Red Seven & WP Restaurant) operated by world-renowned chef and restaurateur Wolfgang Puck.